An exceptionally fine magic lantern set. Largely wrapped for storage in parts of the Daily Telegraph for 1903. 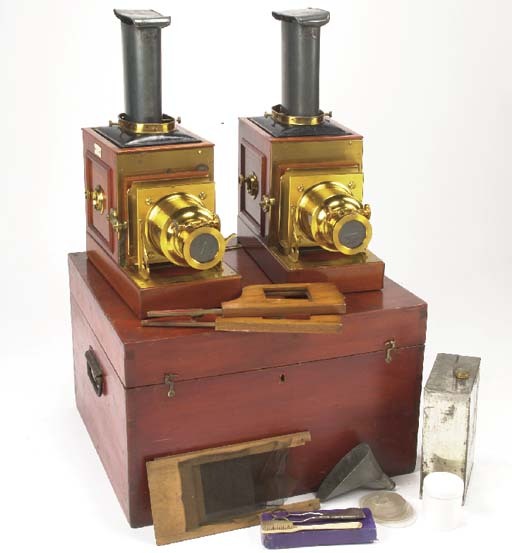 The wood box acted as a projection box with support for both the lanterns in use with screw holes for securing them.